In the technology era of today, there is a majority of consumers in Pakistan, who are fond of high end mobile phones of different popular brands which include Samsung, Oppo, Huawei, Apple and many other. However, due to insufficient money or belonging to a middle class most of the consumers are not able to buy their desired high end mobile phone. This is the reason why consumers go for midrange mobile phones which are equipped with similar high end mobile features and specs but are available at a competitive price. Here in this blog, I will be discussing about the top 3 most selling midrange mobile phones of 2018. 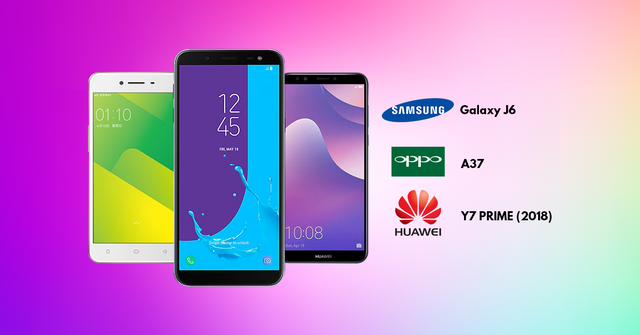 The phones which are considered among the top 3 most selling midrange mobile phones include names like Oppo A37, Samsung Galaxy J6 and Huawei Y7 Prime 2018. All these three midrange mobile phones are getting a lot of sales in the last few months. The reason found behind the popularity and increase in sales is their innovative specs and most importantly their competitive price. 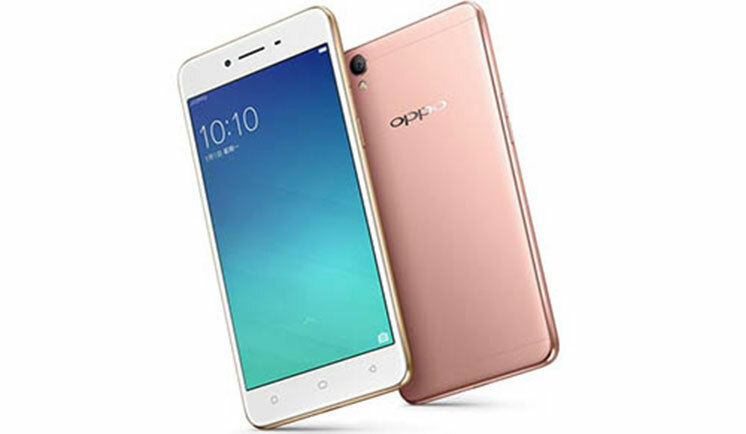 Oppo A37 price in Pakistan is Rs.25,999 which is quite competitive as compared to other Oppo mobiles available with similar features and specs. The most selling Samsung mobile called Samsung Galaxy J6 price in Pakistan is Rs.27,499. 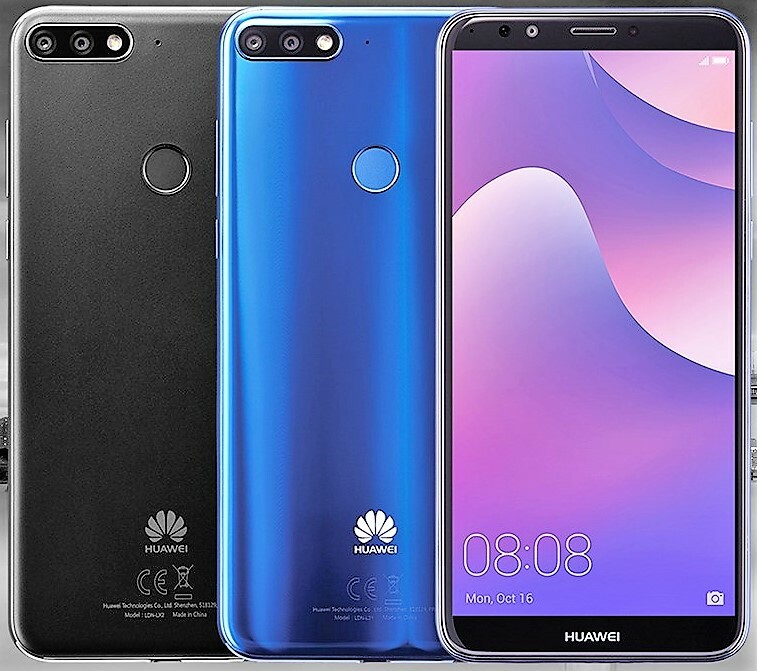 Last but not the least the most selling Huawei mobile known as Huawei Y7 Prime 2018 price in Pakistan is Rs.23,499. As you can if we talk about price, then you can certainly see that Y7 Prime 2018 beats its two most selling mobile phones in 2018. If you are planning to buy the best price midrange mobile phone in 2018, Y7 Prime 2018 is the ideal choice for you. Oppo A37 features a glass back which is protected by an aluminum body. It comprises of a 5.0-inch IPS LCD Capacitive touchscreen with a screen resolution of 720x1280 and 294ppi. The screen of this Oppo mobile is protected with Corning Gorilla Glass 4. This protects the screen of this best-selling midrange mobile phone by Oppo from accidental breakage. The viewing experience on this screen is amazing on almost all sorts of apps and games. Huawei Y7 Prime 2018 features a plastic body which gives the user an average feel in hand. It comprises of 5.9-inch IPS LCD capacitive touchscreen with a screen resolution of 720x1440 with 269ppi. The viewing experience on this phone is average as compared to its predecessor Oppo mobile. However, it is not bad for a midrange mobile phone of a known mobile manufacturing brand. 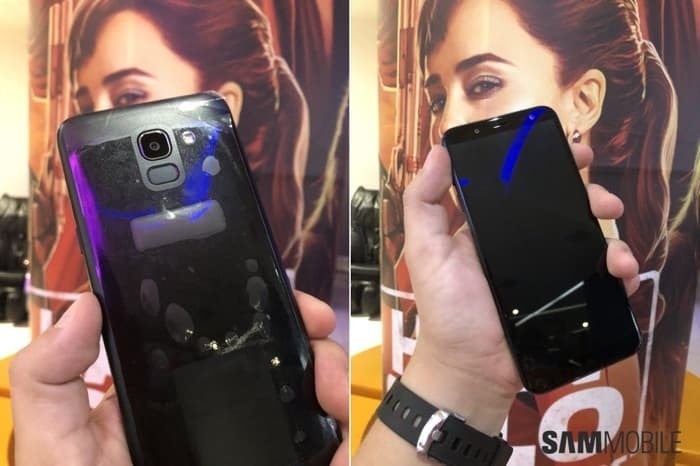 Samsung Galaxy J6 also features a plastic body just like the other Y7 Prime 2018. It features a 5.6-inch Super AMOLED touchscreen with a screen resolution of 720x1480 and 293ppi. The Super AMOLED screen gives this phone an extravagant viewing experience to its valued users on almost everything. This most-selling Oppo mobile is powered with 1.2 GHz Quad-core processor which is coupled with 2GB RAM. A37 comes with 16GB of internal storage which the user can expand up to 256GB via microSD card. The graphics of this phone is handled with Adreno 306 GPU, which makes the graphics look more appealing and catchy for its valued users. Huawei Y7 Prime 2018 is powered with 1.4GHz Octa-core processor which is coupled with 3GB RAM. This Huawei mobile comes with 32GB of internal storage which can also be expanded up to 256GB via microSD card. In terms of graphics, it is handled with Adreno 505 GPU. This graphical processing unit makes the graphics on this Huawei mobile spectacular. Under the hood of Samsung Galaxy J6 you see a 1.6GHz Octa-core processor which is coupled with 3/4GB RAM. This phone comes in two internal storage variants which are 32/64GB. Both the phones internal storage can be expanded up to 256GB via microSD card. The 32GB mobile variant comes with 3GB RAM, while the 64GB variant comes with 4GB RAM. The graphics of this Samsung mobile is handled by Mali T830 MPI GPU. Oppo A37 is featuring the Lollipop v5.1 of Android Operating system, which is yet to be confirmed that will it get an update of the latest Android Operating System Oreo v8.1. On the other hand, both Huawei and Samsung mobile Galaxy J6 and Y7 Prime 2018 is featuring the latest Android Operating System Oreo v8.1. This will help both the phones to perform multitasking in an effortless manner. When we talk about cameras of Oppo A37, you will be glad to know that it will be featuring 8MP rear camera with autofocus and LED flash, whereas at the front you get to see a 5MP front selfie shooter. Both the cameras have the capability to shoot and record videos in high definition quality. The rear camera have the capability to record videos in 1080p with 30fps (frames per second). Y7 Prime 2018 is featuring a dual 13+2MP rear camera with features like HDR, depth sensor and LED flash. At the front you get to see an 8MP front selfie shooter with LED flash. Both the rear and front cameras have the capability to record videos in 1080p with 30fps. 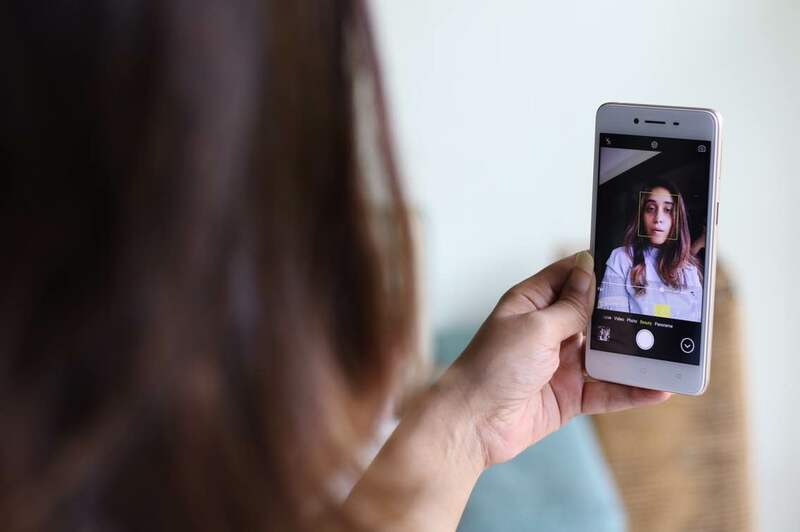 The led flash feature in the front camera allows the user to capture bright and clear selfies even in low light conditions. Samsung Galaxy J6 cameras are also impressive as they feature the Samsung trademark of giving spectacular phones equipped with extravagant lens cameras. 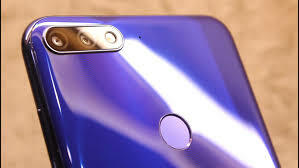 At the rear you get to see a 13MP rear camera with autofocus and LED flash, whereas at the front you get to see an 8MP front selfie shooter with LED flash. Both the cameras can shoot videos in 1080p quality with 30fps. Battery is another important aspect which is mostly compared by many consumers across the globe, who are planning to buy a new mobile phone. When we talk about batteries of these top 3 most selling midrange mobile phones of 2018, you will be glad to know that all three are powered with massive batteries. Oppo A37 is powered with non-removable Li-On 2630mAH battery, Y7 Prime 2018 is powered with 3000mAH non-removable Li-On battery and last but not the least Samsung Galaxy J6 is powered with 3000mAH non-removable Li-On battery. Both the Huawei and Samsung mobiles have the capability to give a standby time of 1-2 days depending on the usage of the users, while the Oppo mobile give a standby time of 12-14hrs depending on usage. Oppo A37 is available in two appealing colors which include Gold and Rose Gold. On the other hand, Huawei Y7 Prime 2018 and Samsung Galaxy J6 is available in three appealing colors which include Black, Blue and Gold. When we talk about other features in these three phones it include 3G/4G, dual SIM, Wi-Fi, Bluetooth, FM Radio, fingerprint sensor, proximity sensor, accelerometer, GPS, NFC and USB 2.0.